Fits Front Door panels on Nissan Frontier 2005-2014. Does not fit 2015 Frontier!! The all new door mount Molle panels is here. 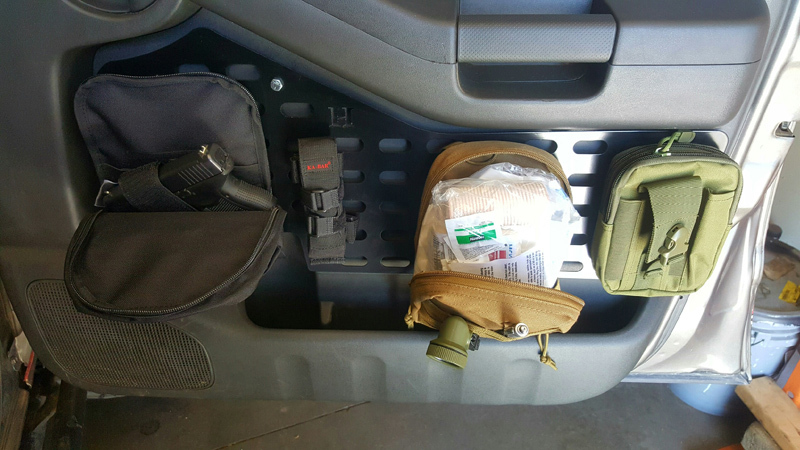 These new Molle mounting plates are built to help you organize all your gear. 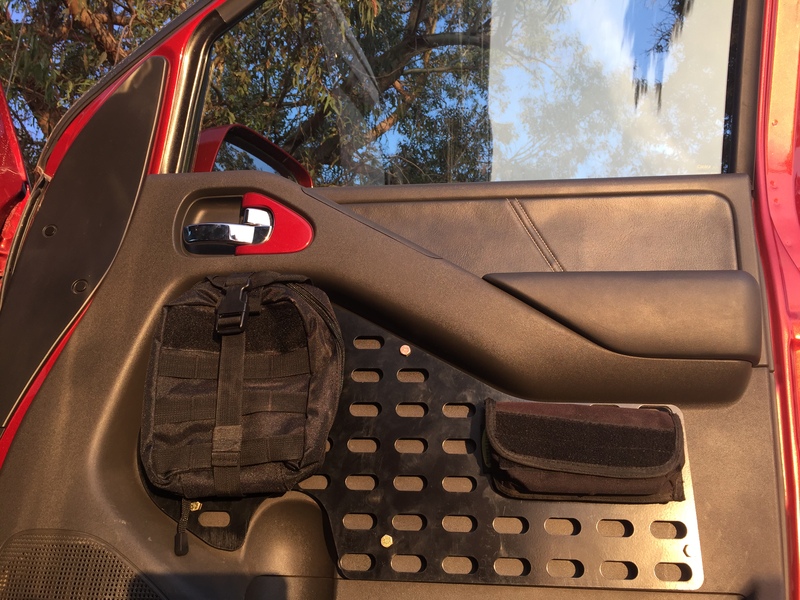 The Molle panels are built to conform to the stock door panels and allow for you to mount all kinds of accessories. From flashlights to medical packs these panels are amazingly useful. 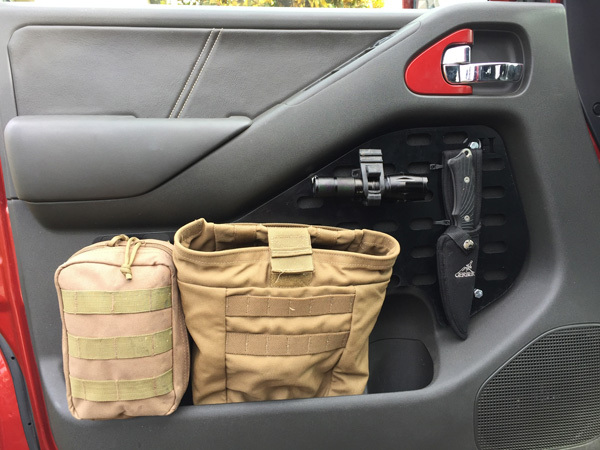 Simple Now you can mount all your Tacticool Molle puches to the Door and have everything you need at arms reach! All panels Come Black powdercoated. 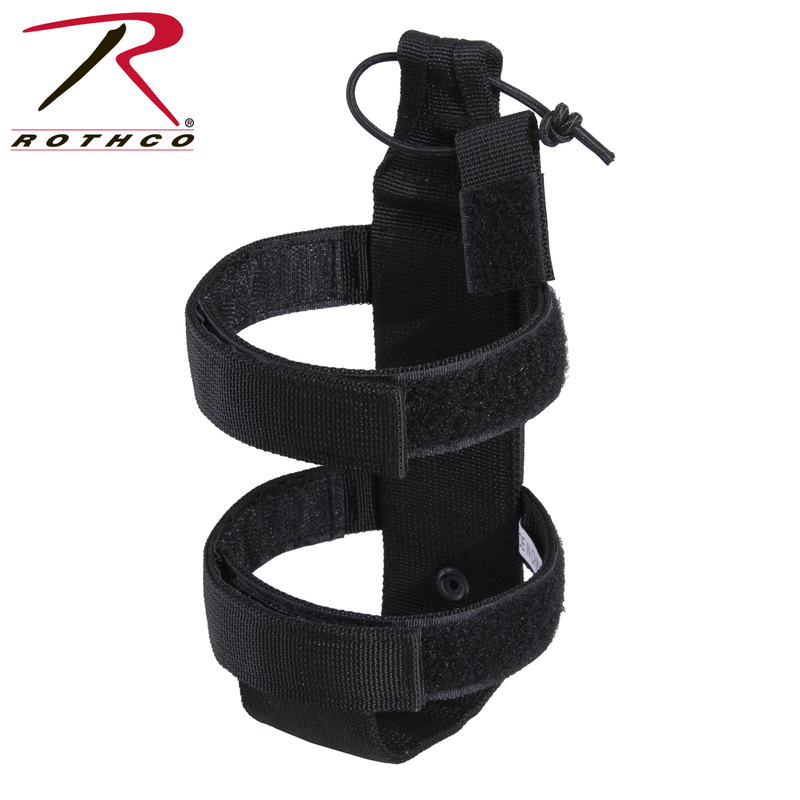 Designed to fit all Mil spec Molle pouches. Custom Powdercoat Options Available. You must call for Custom order.